Spring is here and we are so excited for all the big fat keto salads in our future this summer! 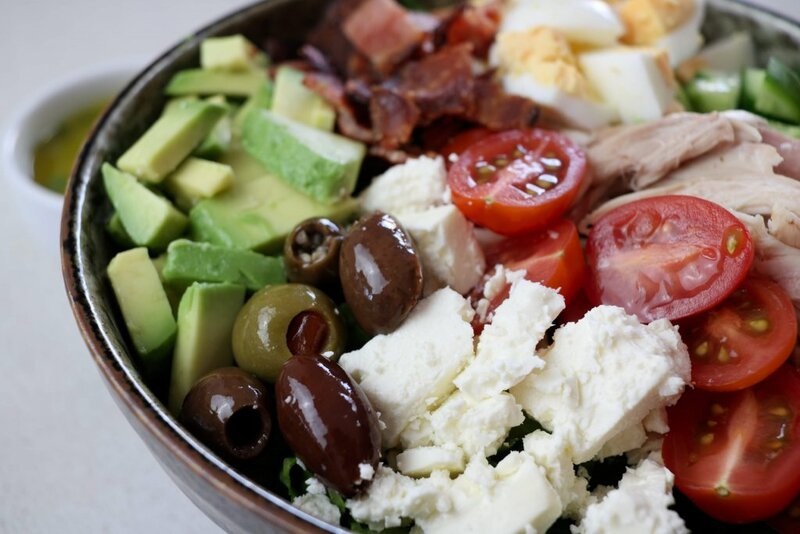 One thing we love to have in summer is a delicious keto salad full of healthy fats and protein. They are easy to throw together from the ingredients we have on hand in our pantry and fridge, and are so beautiful that they are even great for entertaining on the weekend. 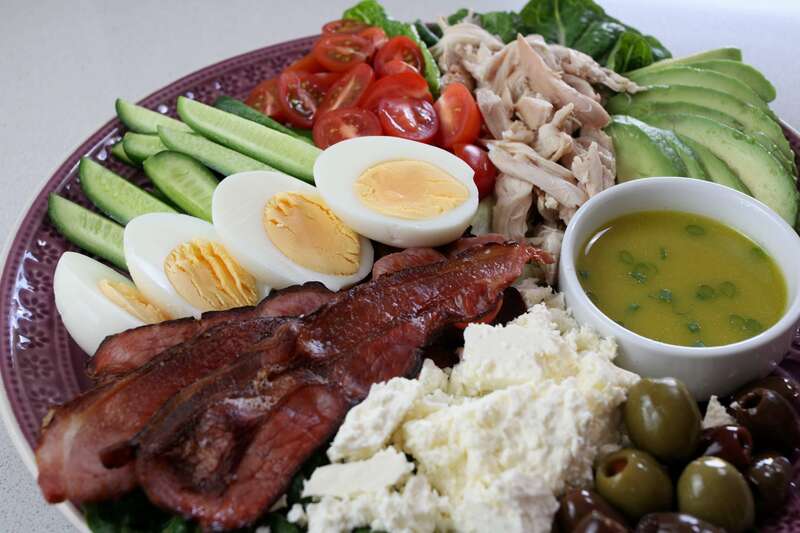 I was inspired to create this keto salad platter by the amazing Teri from No Crumbs Left. If you don’t follow her on Instagram, you are missing out. Teri is an amazing cook and just an inspirational person who I love to follow along with everyday. Her salad creations are always so beautiful and I love seeing the combinations she comes up with, so I wanted to share our keto version. Now the ingredients I have used are really just a guide and are the foods we like to eat. The great thing about a beautiful salad platter like this one is it is completely customisable to your preferences. 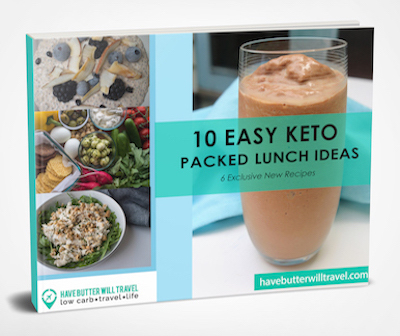 Here is a list of my favourite keto friendly salad inclusions. Most lettuces or greens make a great base for your salad. We like cos (romaine) lettuce, iceberg lettuce, spinach leaves, rocket (arugula), kale, zucchini noodles or cabbage. 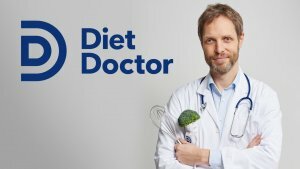 Any of your favourite meat options would be great on a keto salad. We like to include bacon, boiled eggs, grilled chicken, pulled pork, tinned tuna or salmon, grilled salmon, grilled steak, leg ham, smoked turkey, salami or prosciutto. 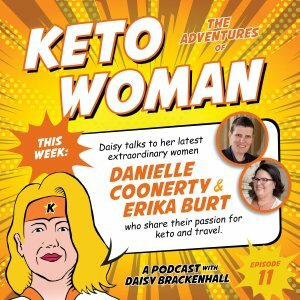 Keto-friendly vegetables tend to be the ones that grow above the ground, rather than underground vegetables which usually contain more carbohydrates. 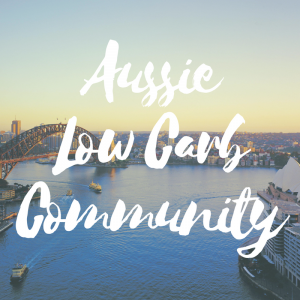 Our favourite vegetables to include in our keto salads are cucumbers, tomatoes, fresh or roasted capsicums (peppers), radishes, avocado, micro greens, sprouts, broccoli, cauliflower, mushroom and fresh herbs. We love to include cheese in our keto salads and there are so many options to choose from. Go with your favourite cheese. We like crumbled feta, fresh mozzarella, grated parmesan, grilled halloumi, cheddar or a flavoured cream cheese, If you are dairy free you could try a dairy free cheese or a sprinkle of nutritional yeast for that cheesy umami flavour. Adding texture and some crunch to your salad can make all the difference between bland and delicious. We like to include roasted & chopped nuts and seeds or cheese crackers for great crunch instead of the more traditional croutons. Another great inclusion to your keto salad are olives – we love them and they add a great salty bite. Try making your own dressing like a classic vinaigrette made with extra virgin olive oil and vinegar or perhaps our ranch dip, pesto or romesco sauce. If you prefer to buy your own we like the Primal Kitchen range as they are made with avocado oil and other keto friendly ingredients. 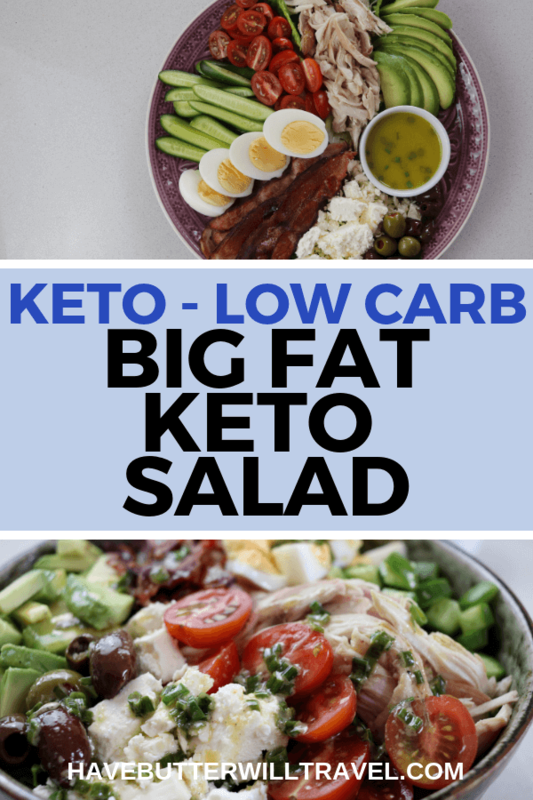 Salads are an excellent keto option for lunch or dinner. 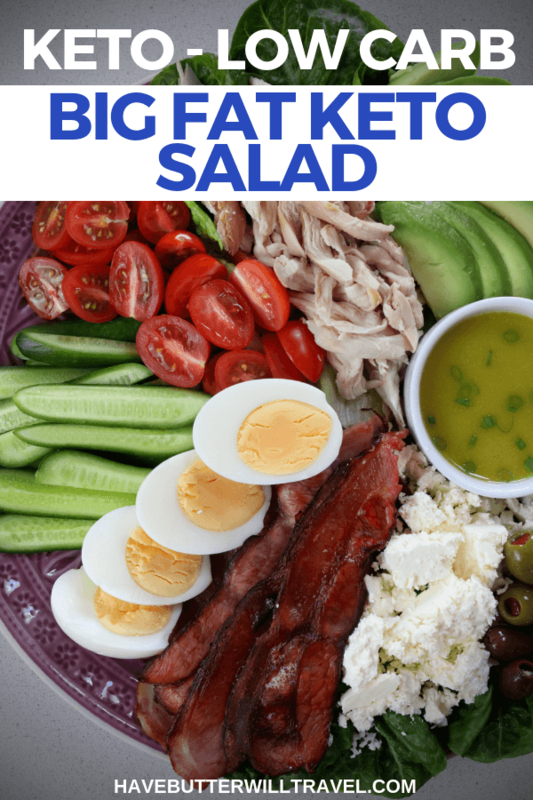 They are really quick and easy to put together and this keto salad is great served as a platter. Place all your salad ingredients on a large serving plate or platter. This is where you get to be creative. We like to serve the dressing in a small bowl on the platter, so make sure you place the dressing bowl on the platter first and then arrange salad ingredients around it. Combine all the dressing ingredients in a jar with a lid. Then shake till all the ingredients are well combined. Place dressing in small bowl on platter. Instructions are for the platter version. Alternatively you can chop up all the salad ingredients and toss together with dressing. Just love this! I am moving more toward “assembly” items myself and something like this is perfect! Thank you for all you do and post!